The deadly tides of change rise above the surface in the exciting third chapter of the best-selling action-adventure series, FATHOM! Humankind faces a new threat to their existence from the ancient and powerful underwater race - the Black - while the return of the villainous Killian sends shockwaves throughout the already-devastated world of the Blue. Meanwhile, Aspen Matthews attempts to adjust to life above the water, but soon discovers that a future - and past - threat emerges to destroy her newly found safe haven! Collecting together for the first time the sold out Fathom Zero issue, as well as series issues #1 through #10 and the special Fathom Prelude issue, this is 320 pages of everything Fathom! And if that's not enough, we'll be including a complete volume 3 covers gallery including artwork by none other than Fathom creator Michael Turner!! 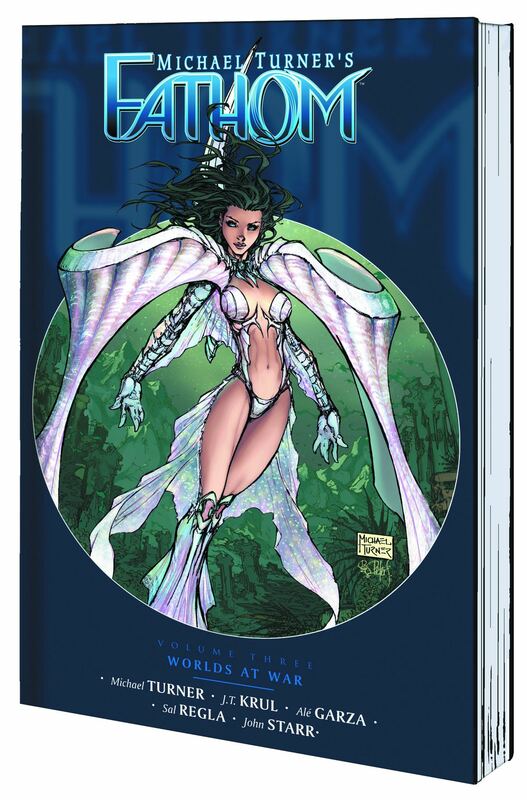 This Fathom: Volume 3 - Worlds at War TPB is a must for any Aspen, Fathom, Michael Turner, or comic book fan!